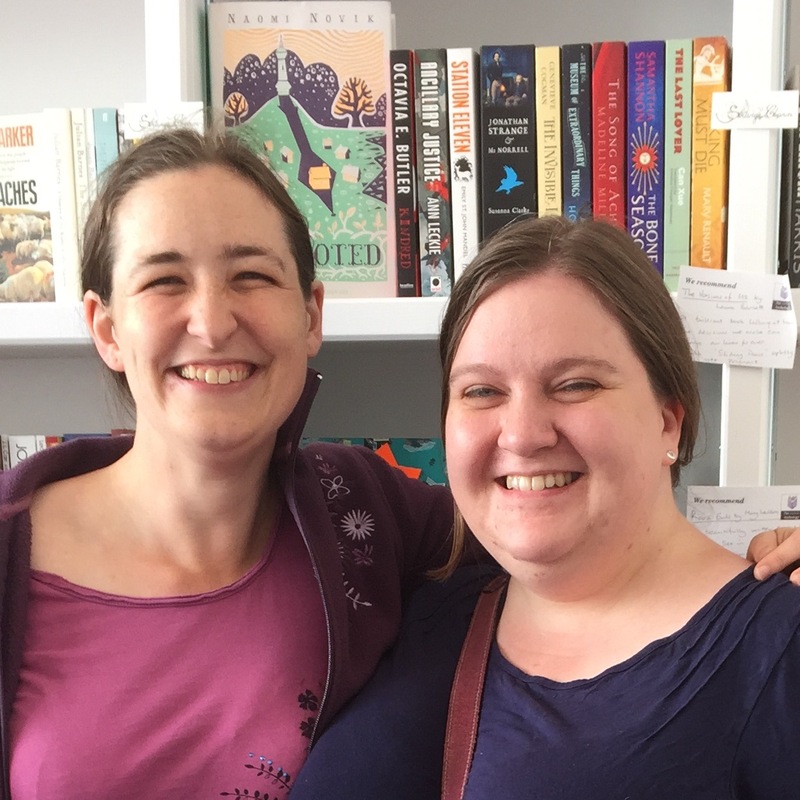 Who: Joanna and Rachel, the fab pair behind Strange Charm – a new (ish, about one year old) blog that is “devoted to discovering and sharing the very best of female-authored speculative fiction”. Follow them at Strange Charm and Twitter @strangecharmbks. It’s Joanna and Rachel’s first Smugglivus- please give them a warm welcome! Hey everyone! Ana and Thea invited us to join in with the Smugglivus festivities by writing about the books we love but… we sort of do that all the time. The whole of Strange Charm is a testament to books we’ve enjoyed. However, our individual tastes are very different and we don’t tend to overlap much in our reading — although Ann Leckie’s Imperial Radch series has been a notable exception, and we’ve both developed an unhealthy addiction to the story-game 80 Days in recent months. But those are the minority, so this Smugglivus we thought we’d try something a bit different, and share our favourite reads of the year with each other. Rachel: Nimona is probably the heroine I wanted to be when I was her age, which is to say she isn’t a heroine at all, she’s aspiring to be a super-villain. And to get her first step on the villainous ladder, she barges straight into Ballister Blackheart’s lair (yeah, he could do with working on his security) and just outright tells him that he should hire her. With her physics-defying shapeshifting powers, it doesn’t take much to persuade him to give her a chance. 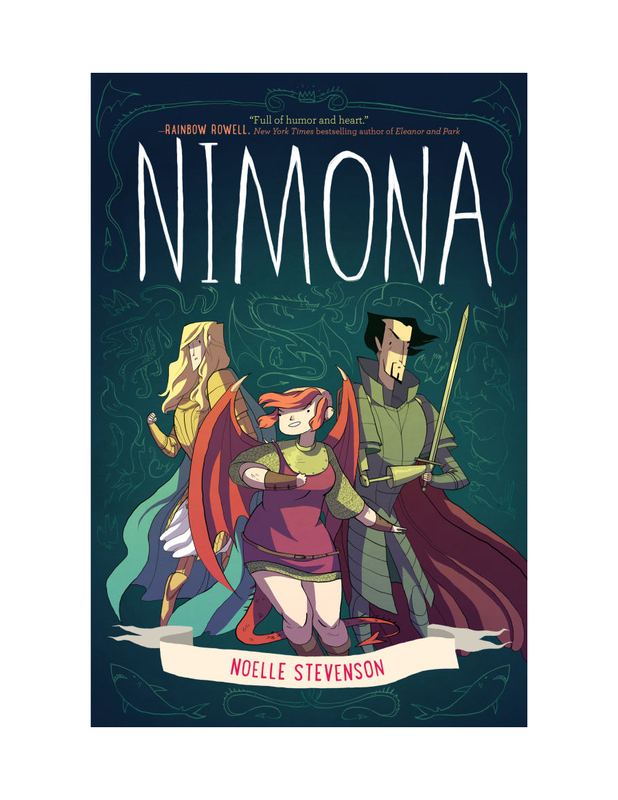 Taking all the tropes of a naive and idealistic heroine and applying them to a girl determined to develop as an evil genius, Nimona is ridiculously enjoyable from the first page… but it’s also really good. Blackheart is the official villain, but it’s not long before he’s giving Nimona lessons in morality — after all, even if you’re going to be evil, you want to make sure you’re also being efficient. Their adventure takes in a grand conspiracy as well as lots of mysterious Science Things, touching on the nature of identity and friendship as well as the more obvious themes of morality and forgiveness. There are also two appropriately seasonal shorts at the end, one of which features possibly the most adorable scene of the whole book. Rachel: I’ve read several books this year which had me declaring “best book ever” as I turned the final page, so picking just one to give to Joanna was a serious challenge. But I happen to know that Jonathan Strange and Mr Norrell has been sitting on her ‘to read’ list for quite a long time, and Sorcerer to the Crown is somewhat similar but in my opinion better, so I thought that might be a good bet. Plus, it’s ultimately a heartwarming and uplifting story, which seemed a suitable choice for a festive gift. 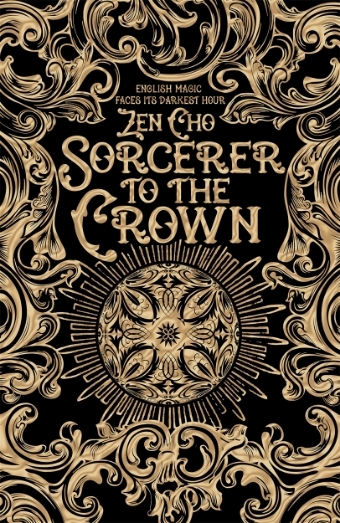 Joanna: Rachel has been going on and on about Sorcerer to the Crown for ages, so I was super excited when she chose it (and as an aside, it also has a very festive cover!). From reading Rachel’s review, and from hearing Zen Cho speak at Nine Worlds in the summer, I was expecting something like ‘Georgette Heyer with dragons’ — a fun magical plot, with a touch of romance. I got all that, and more! However, that description barely scratches the surface of what this book turned out to be. There were so many things I loved about it: the character of Prunella Gentleman, for example, an intelligent orphan who manages to get her own way whilst remaining completely charming and without anybody really noticing. Or the subplot about the propriety (or otherwise) of women practising magic, and why they might just be better at it than men, if the systemic societal prejudice could be removed — as a woman working in technology, this certainly resonates with me! But my favourite part was the character of Mak Genggang — an angry and powerful witch who provides some of the best moments of comic relief, as well as setting up a moving exploration of the effects of English colonialism, and who reminds us that even our favourite regency romances were taking place in the context of a wider world. I’m so glad there are sequels planned — I can’t wait to read more about Zacharias and Prunella, and I really should get round to reading Jonathan Strange and Mr Norrell in 2016 too! Given our wildly divergent tastes, swapping books was a risk, but in the end we both really loved each other’s choices. Working on Strange Charm together (for a whole year, now!) has taught us a lot about what each of us prefers, and we’ll both be recommending books to each other a lot more in future. 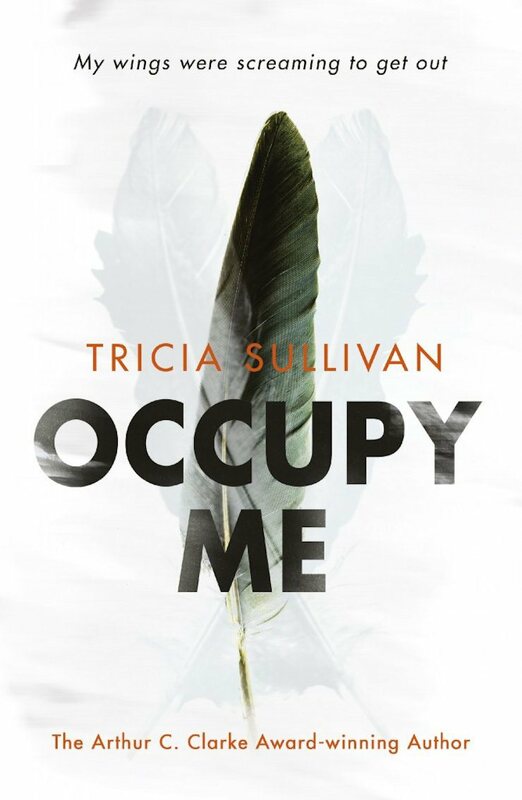 Rachel: I’m currently reading Occupy Me by Tricia Sullivan, which is coming out in January from Gollancz. This is one of those books that’s sufficiently literary it probably won’t get shelved (exclusively) with sci fi and fantasy, which automatically puts it in Joanna’s ballpark, but it also does some very interesting things with the extremes of future technology and implications for identity and self. Not only that, but there’s more than a hint of temporal paradox, with implications for causality that push it firmly into philosophical territory. I haven’t finished it yet, but based on the first hundred pages, I reckon it would be just as much her kind of thing as it is mine. 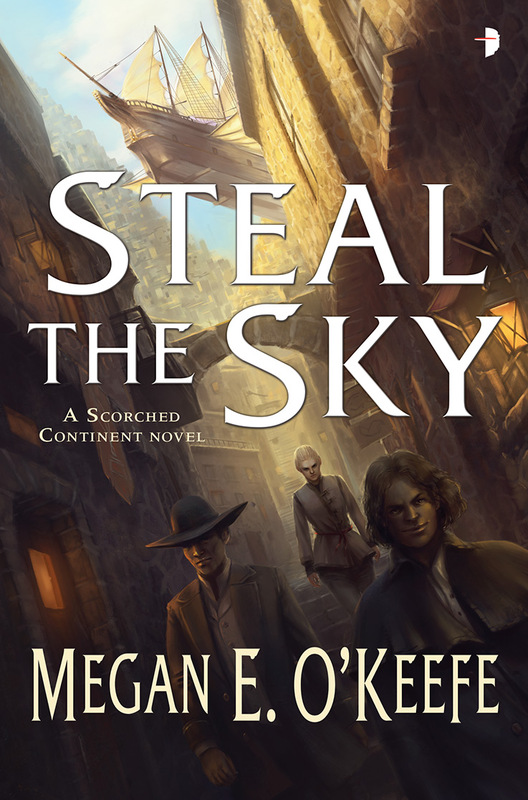 Joanna: I’ve spotted Steal the Sky by Megan E. O’Keefe, published by Angry Robot in January. Set in a desert steampunk city, two conmen are attempting to steal an illustrious airship, whilst around them society is shaken by the threat of a sinister coup by persons unknown. Steampunk setting + heist plot + airships + doppelgänger mystery = a whole lot of things Rachel likes, so I reckon she’ll enjoy this one too! Nimona was one of my favorite reads this year too! Such a fun and heartwarming story with awesome artwork too. I have Sorcerer to the Crown on my wishlist, and it’s interesting to note that you think it’s better than Jonathan Strange (which I’ve had on my TBR pile for years).